AOL shares will begin trading on Thursday. They will even regain the market ticker symbol they used before the merger. At the time of the merger in 2001, the marriage of Time Warner with AOL was dubbed the "deal of the century" - one that brought superstars of both old and new media together. 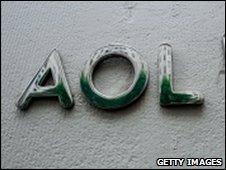 But the new media element, AOL, soon started to look jaded as its once-popular dial-up internet model was superseded by broadband. Time Warner's long-established collection of TV and magazines proved no bulwark against new developments. It also lost revenue as the media fragmented further. It took place during the biggest bubble the stock market had ever experienced, and it marked the final triumph of the internet over the old media. Despite a few bright spots in its portfolio of sites, such as tech blog Engadget, AOL has a long way to go until internet advertising can replace the revenue it still gets from selling dial-up internet access. This type of customer is thin on the ground these days. In 2002, AOL had 26 million dial-up customers, now it has 5.4 million. However, it still earns 43% of its revenue from these die-hard subscribers. On Thursday, investors will get their chance to rate AOL's prospects when the shares start live trading. The occasion will be marked by AOL's chief executive, Tim Armstrong, who will ring the opening bell at the New York Stock Exchange. Why did deal of the decade fail?